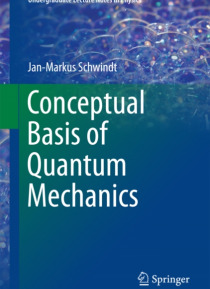 The book covers the content of a typical higher undergraduate course of the theory of Quantum Mechanics. The focus is on the general principles of quantum mechanics and the clarification of its terminology: What exactly is a Hilbert space? What is a hermitean operator? A tensor product? An entangled state? In what sense does a wave function constitute a vector? A separate chapter discusses the man… y open questions regarding the interpretation of the postulates.